User warning: The following module is missing from the file system: azexo_composer. For information about how to fix this, see the documentation page. in _drupal_trigger_error_with_delayed_logging() (line 1143 of /home/scantronrobotics/public_html/includes/bootstrap.inc). 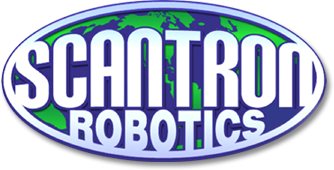 Located in central Canada, Scantron Robotics Inc is able to serve customers from all over North America as well as the world. Contact us today to find out how we can help you with our robotic cleaning and inspection services. SCANTRON ROBOTICS brings you state of the art technology which gives a safe and dependable way to economically inspect and clean your tanks and reservoirs. We are industry leaders in on-line underwater robotics for leading edge inspection and on-line cleaning of potable water. SCANTRON ROBOTICS offers a self contained safe and cost effective removal of resin and bio-film from clear wells, concrete or steel reservoirs. We are staffed by experienced, registered professionals who are highly qualified and referenced with expert witness testimony to meet your reporting requirements. "Professional robotic and drone operations for your business"